Welcome to Fall! I'm looking forward to cooler temperatures, trees dressed in their colorful fall garb, the holidays ahead, and all of our Rotary events between now and the Christmas holidays. Please check out the website periodically where you will find upcoming events as well as our list of speakers. One billion people suffer from neglected tropical diseases such as dengue fever and leprosy each year. 2.4 million doctors, nurses, midwives, and other skilled caregivers are needed worldwide. 57 countries have fewer than 23 health workers for every 10,000 people. 100 million people are pushed into poverty each year by medical costs. 1 in 6 people worldwide cannot pay for health care. Support health education programs that explain how diseases are spread and promote ways to reduce the risk of transmission. Help immunize people against infectious diseases. Support continuing education and training for health workers through scholarships, stipends, and public recognition. Improve and expand access to low-cost and free health care in under served areas. Canton Rotary is supporting improved disease prevention by supporting the Rotary International Polio Plus initiative. 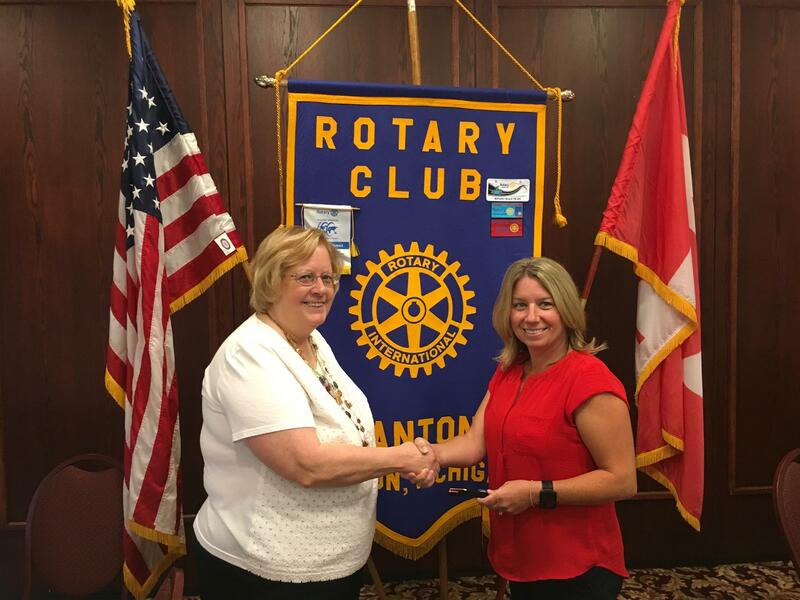 Last year we partnered with the Windsor Roseland Rotary Club to purchase mosquito nets to be given to families in Pakistan when the family brought their children to be immunized against polio. We will be collecting money for polio again on October 24th at a local business. Details will be forthcoming shortly. Please invite your friends and neighbors to join us on October 24th. Kimberly Fix from Huron Clinton Metroparks visited us today and gave us a plethora of information on these 13 gems very near us. Today Kimberly Fix from Huron Clinton Metroparks presented a slide slow on the 13 parks in Southeast Michigan, including the following: Delhi, Dexter-Huron, Hudson Mills, Huron Meadows, Indian Springs, Kensington, Lake Erie, Lake St. Clair, Lower Huron, Oakwoods, Stony Creek, Willow, and Wolcott Mill. Some of the amenities offered at these parks include campgrounds, boating, hiking and biking trails, nature centers, golf courses, fishing, water park facilities, cross country skiing, ice skating, and interpretative centers. Seven million visitors enjoy these park each year, and, in 2017, 4100 volunteers staffed these parks. Entry permits are $35 per year and include unlimited access to all 13 parks. 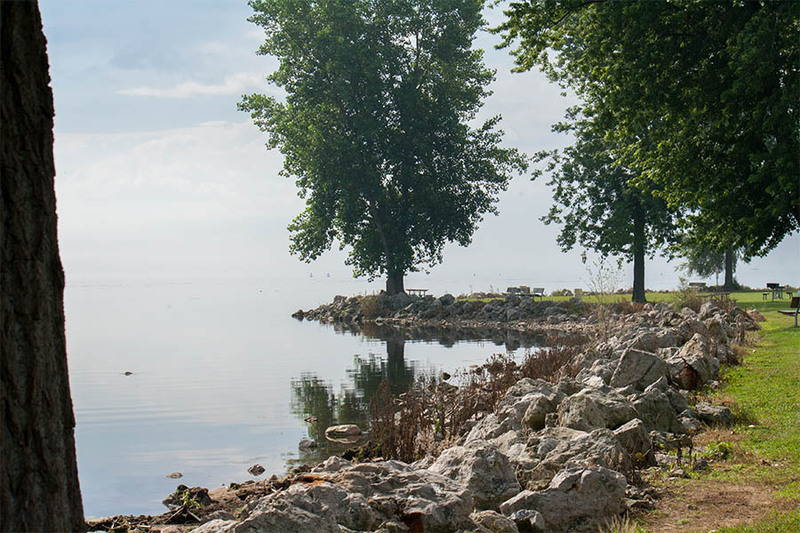 This regional park system was created in 1940 to provide recreational and educational opportunities while serving as stewards of the regions natural resources. Counties covered by this regional park system include Wayne, Washtenaw, Oakland, Macomb, and Livingston. Thanks for sharing these gems with us Kim. For more information on these parks please see the website at http://www.metroparks.com/. Our Sergeant today was Marlette who did an excellent job; and it was her first time as sergeant. Thanks Marlette. For lunch we enjoyed pizza. We are also reminded of the following upcoming events: Optimist Club Cruise on September 14th (call Pam at 734-502-5776‬ to make reservations), September 11th for Do Good Expo, Plymouth AM Spaghetti Dinner on September 8th, September 20th for One Rotary Summit at Schoolcraft, October 24th World Polio Day, October 1st Past Presidents' Dinner at Hickory Creek. We wish everyone a safe and relaxing Labor Day Weekend. See you all on September 10th. Today we gathered at Heritage Park with our Liberty Fest volunteers for a time of fellowship and fun. We met on Monday evening at Heritage Park to thank our Liberty Fest volunteers for their help with our Beverage Tent. We are very grateful for all of the people who came out to help us with Liberty Fest, and tonight we had the opportunity to pay special tribute to the Canton Township Volunteers and the Friends of the Canton Rotary. We enjoyed a dinner of Lee's Famous Chicken, cole slaw, rolls, baked beans, potato salad, and a large chocolate cake. And of course soda and water. After dinner we played bingo with our guests; prizes were given out to the winner of each game; and there was a lot of laughter and fellowship. 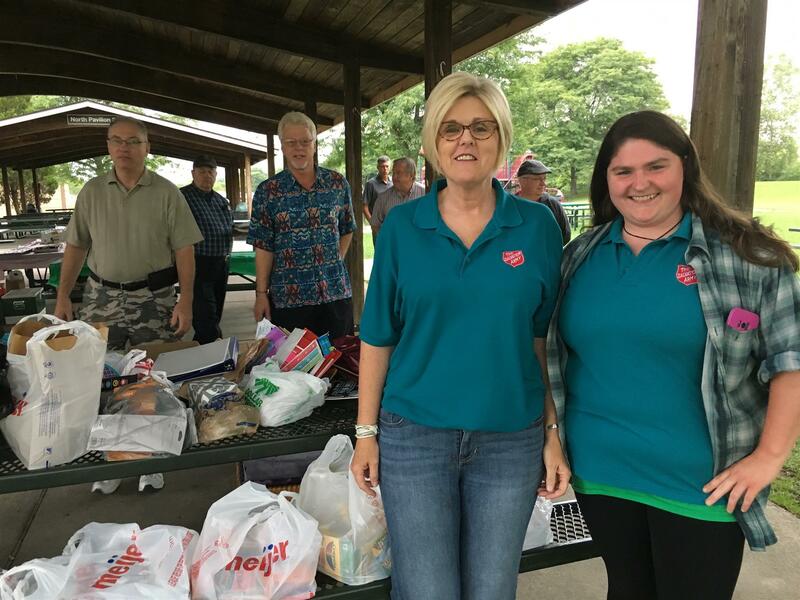 The Canton Rotary members also brought their donations of school supplies for the Salvation Army Back To School Drive to the picnic, and we invited our guests, if they wished, to bring supplies to donate also. We were thrilled at the number of donations that were brought to the picnic. Darla and April from the Salvation Army were there to receive the donations, and they will be passed out to needy students before school begins. Thanks to everyone who donated. 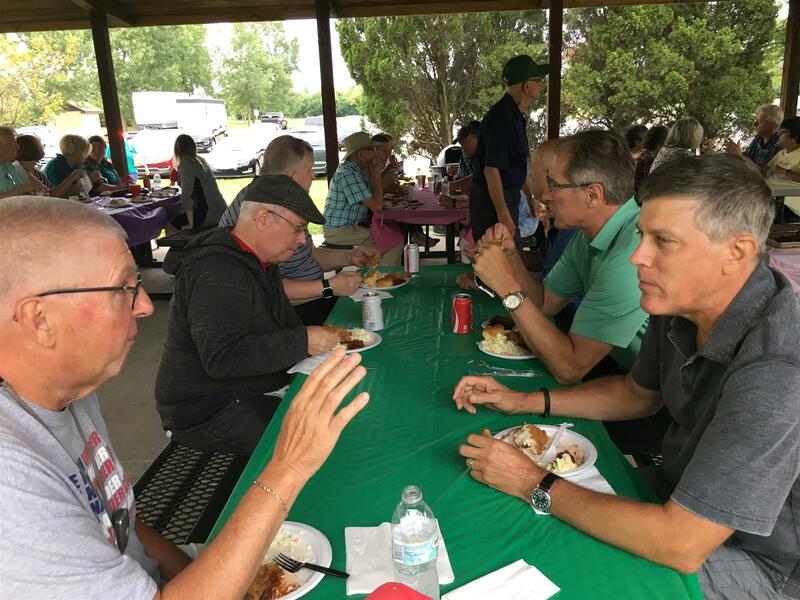 Please see the rest of the pictures from the picnic here https://cantonrotary.com/PhotoAlbums/rotary-year-2018-2019-first-six-months. Mathew Bertrand was our guest speaker today to talk to us about RainSmart and to update us on the current activities of "The Friends of the Rouge". Aug. 20th - Volunteer Appreciation Picnic in Heritage Park at 5:30-9:00 pm. Setup at 4:00 pm, also the Salvation Army school supplies for the back to school drive will be collected then. Oct. 1st - Tentative date for the Past President's Golf Outing and Dinner. More later. Sept. 16th - District Golf Outing. Sept. 20th - One Rotary Summit (Educational) at Schoolcraft College. All are encouraged to go! May 10th of 2019 for the Radar - Next Years District Conference In Windsor at Caesars - Friday (night) / Saturday / return Sunday. Super affordable for 2 at $1050 for this location. Master Gardener Matthew Bertrand was our guest speaker today and he addressed the club on RainSmart ideas that included an update on the "Friends of the Rouge". This included a brief history of the Rouge development over the years and the many periodic clean up efforts that continue today. He then discussed some very practical tips for eco-friendly and effective lawn care for Michigan's local environment in the Southeast part of the state. Consider creation of dry wells, and rain gardens to naturalize your landscape, help your drainage, and reduce the water bill at the same time. "Give you Lawn a Job!" was presented along with the reasons it can be more healthy and serve the ecology of Canton in very practical ways. Check out the RainSmart web site at the Friends of the Rouge web site. Ken got a stab at the "Ace", but just missed (thanks Kevin), and Bill Simmer was our Seargent today.... he gave us a quick and merciful grilling this summer day as a car guy treat. Today's lunch was pizza. Tonight the Canton Optimist Club visited our evening meeting and presented a program detailing some of the great work that the Optimist Club does in the Canton Community. 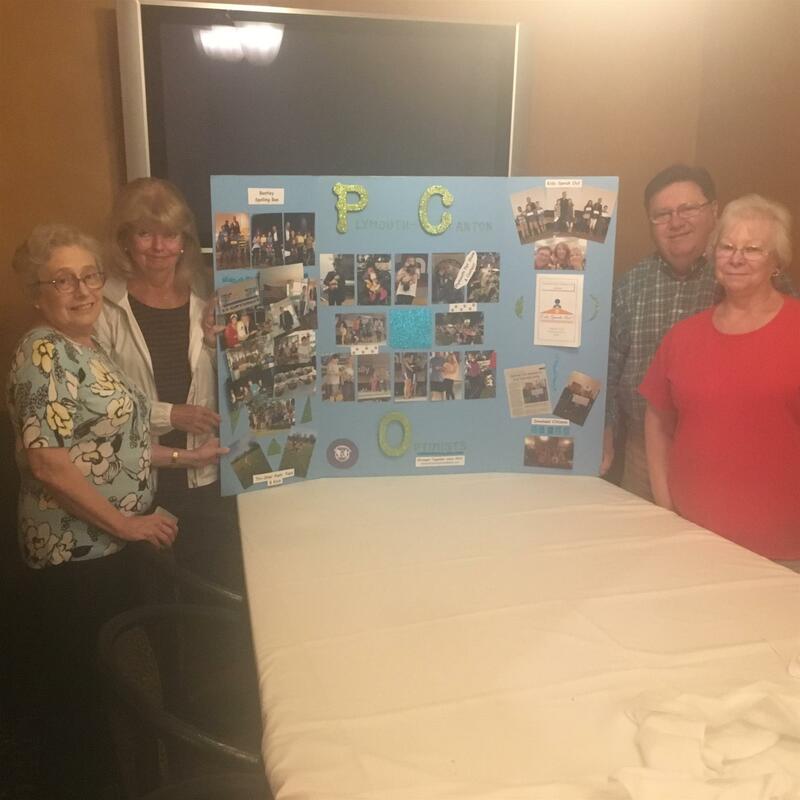 We had four guests from the Canton Optimist Club with us - Barry and Nancy Burnham, Betty Leadford, and Cheryl Klobucar. Other guests included Sarah Maiga's sister-in-law, Jude, from Niger, Sarah's son Ezra, and John and Sue Kowalski's grandson Torin. Optimist Barry Burnham presented a program on the work of the Optimist Club. The motto of the Optimists is "Friend of Kids". The local club was started in 1949 in Plymouth, and the current chapter includes both Plymouth and Canton. 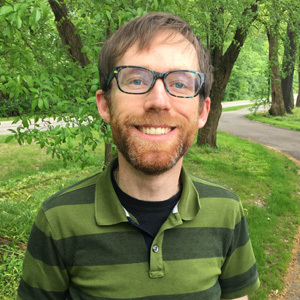 Each year they sponsor a "kids speak out" essay contest at the elementary school level, a spelling bee at the schools, and an essay contest which awards a scholarship to the winner. Their national campaign works to fight childhood cancer with donations to local childrens' hospitals. They also make donations to the Salvation Army at Christmas time. The Optimist Club originated the Pet Show at the Plymouth Fall Festival, and they still sponsor this event today. Stop by and enjoy watching the contest this year at the Plymouth Fall Festival on September 8th at 9:00 a.m. This year was their first year of sponsoring a bicycle safety program in Canton in conjunction with the Canton Police Department. The event was well attended, and the Optimists look forward to sponsoring it again next year with even more children participating. The Optimists meet twice a month in the evening, and are looking forward this year to celebrating the 100 year anniversary of the organization of The Optimist Club in Canada. On September 14, 2018, they are sponsoring a dinner cruise on the Detroit River as a fundraiser. Anyone interested in more information, or in attending the cruise, can contact President Pam Batcho at 734-502-5776. The Canton Rotary Club presented the Optimist Club with a check for $2,000 to use toward the good work that they do in the Community. We are grateful for volunteers like the Optimists who strengthen our community and make it a better place to live and work. First Monday of Month at 6:00 p.m., Second thru Fifth Mondays at 12:05 p.m. Please contact Susan Kowalski, Executive Secretary at cantonrotarymi@gmail.com with any questions.